A Frame Cranes Avail from us a huge assortment of A Frame Cranes that are devised in accordance with the pre-set norms and standards of the domain. 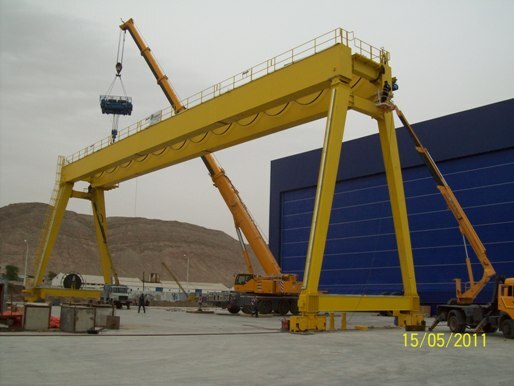 Our conglomerate offers the mobile gantry crane with electric chain/manual drive dolly. Known for easy utility and using less space, these reliable Cranes are widely accepted by our valued clients. Assured for delivering an optimal performance, these cranes find great application across different warehouses, constructions sites, loading docks and maintenance of.